Stores reference 22c/1252986. 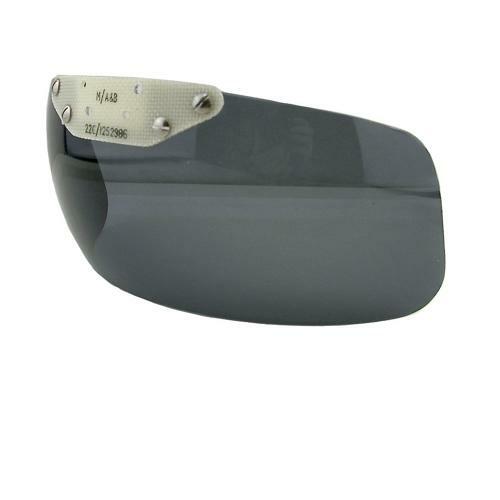 Visor, Mk.2 Anti-glare screen, size medium, dark tint (15% transmission). Manufactured in acrylic this visor screen has a straight lower edge which allowed a clear view of the cockpit instruments. This can be attached to the helmet via a centrally mounted rail and is suitable for the MK.1A, Mk.3A and MK.3B bonedomes. Minor storage marks but essentially in excellent unused condition. Stock code H22856.